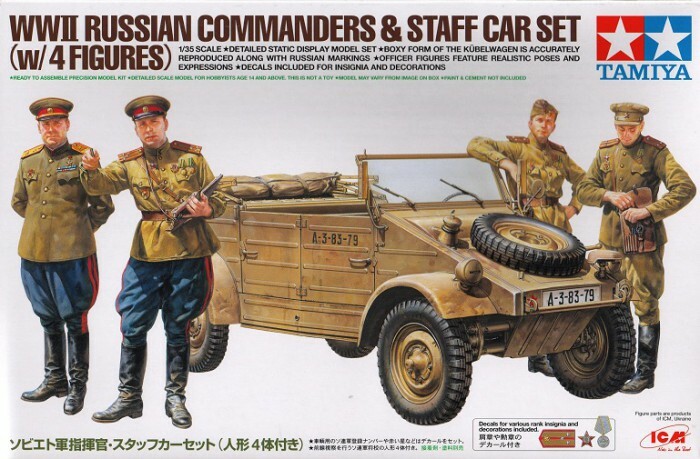 This is a 1/35 scale assembly model of a German staff car with Russian figures. The German invasion of Russia in 1941 resulted in a severe losses for the Russian army. However, Russian commanders came back from these early defeats to achieve victories at the Battle of Stalingrad and the Battle of Kursk. 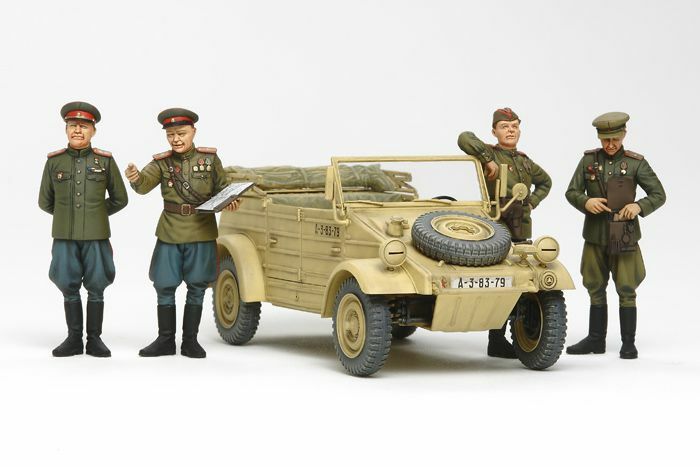 During these battles, the Russian army often captured German vehicles and employed them in their own units. 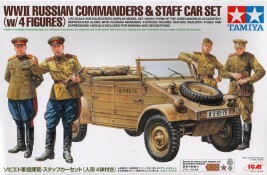 The Kübelwagen was among these captured vehicles and some were given Russian registration numbers and used as staff cars.